In gearing up for the 100th anniversary of the Lincoln Highway in 2013, the Lincoln Highway Association released a complete, definitive online map of the entire highway, from New York City to San Francisco, freely available on the Association’s Website. The online map represents more than twenty years of historical research and ten years of mapping by over a hundred expert volunteers. Established in 1913 and named for Abraham Lincoln, the Lincoln Highway crosses fourteen states, including a loop through Colorado, and represents the first coast-to-coast improved road in the United States. The year 2013 will be the Lincoln Highway’s Centennial; the online map’s release comes just in time before numerous car clubs and families will drive the road next year. Powered by Google’s interactive mapping software, the online map shows satellite and street views of the Lincoln Highway and hundreds of points of interest along the way. The interactive online map represents the first detailed mapping of the entire Lincoln Highway, including several generations of road improvements and realignments with points of interest to visit, in one free resource. Additionally, the online map shows special feeder routes from the Lincoln Highway to Washington, D.C. and Chicago. Users can zoom in on a state or a particular location, trace the Lincoln Highway, and check the Points of Interest button to view places to see along the road. 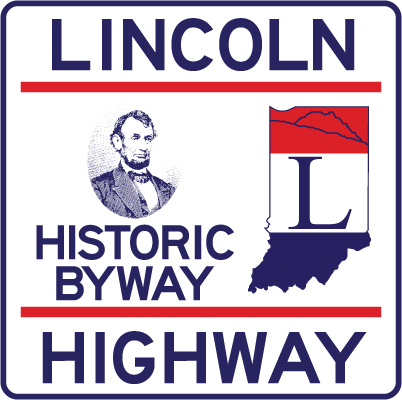 The online map includes both the 1913 and 1928 routes of the Indiana Lincoln Highway. Anyone planning a trip or is just curious about where the Lincoln Highway goes is welcome to use the map at: http://www.lincolnhighwayassoc.org/map/. There will also be a permanent link to the map on our Map / Directions web page.